Site: a famous vineyard whose relief has no equivalent in Burgundy. Its round shape and steep slope evoke an ancient amphitheater. There are two major exposures: one is due south in the northern section and the other south west in the southern section. It is one of the largest among the seven Grand Crus of Chablis. History & tradition: the name comes the French "chemin des vaudésirs" (path of the vaudésirs) cutting the vineyard down the middle. 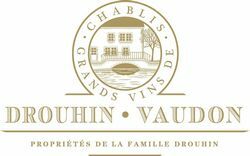 In the sixties, when the Chablis vineyards were all but abandoned, Robert Drouhin recognized the potential of this region which had been ravaged by the phylloxera disease a century before. He was one of the first Burgundy propriétaires who set about revitalizing the area. Drouhin estate: 1.4 ha. (3.5 acres). Average yield at the Domaine: 46.62hl/ha (the yield currently authorized for the appellation is now 54hl/ha). "An exquisite wine often drunk on its own as an aperitif. Pure and limpid colour, with a faint greenish hint. On the nose, fresh aromas of flower and fruit (lemony flavours) and, at times, spicy notes of coriander. On the palate: harmonious aromas bringing character and elegance. The magnitude of its Grand Cru origin and the light salty notes from the Kimmeridgian soil are in evidence. Remarkably long and complex persistence in the aftertaste". The wines are showing a good acidity level. They are briny with citrus hints. It is a very classic and harmonious vintage in Chablis.